Home / Special Days / Teachers Day / How to celebrate Teachers Day! A special day in a year dedicated to teachers! While World Teachers’ Day is celebrated all across the world on October 5 each year, in India it is the 5th of September that is celebrated as Teachers’ Day to honor the contributions made by teachers to the society. September 5 is the birthday of a great teacher Dr. Sarvapalli Radhakrishnan, who was a staunch believer of education, besides being a well-known diplomat, scholar and the President of India. Teachers’ day is one of the occasions that is looked forward to by the teachers and students alike. 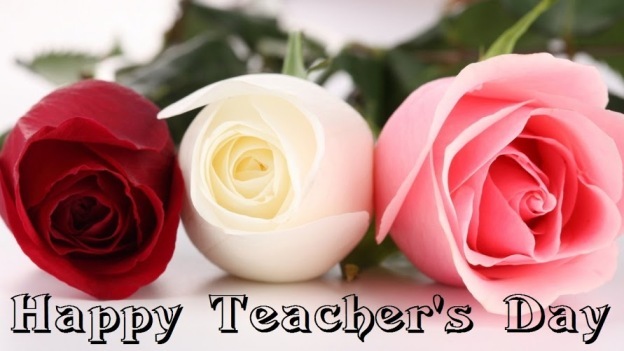 All schools and colleges have their own way of celebrating this special day in the honor of their beloved teachers. Some ways of celebrating Teachers’ Day are listed below. Take ideas, improvise and plan a wonderful celebration! We’d be happy to listen to your ideas in our comments section at the end of the post. On this occasion some students (handpicked by students council to match the personality of teachers) dress up to represent their teachers and take classes that are assigned to the teachers they represent. As the day passes, the new teachers (students) perform the regular activities that are performed by the teachers in their own funny ways, sometimes imitating the teachers, saying their pet dialogues, and stuff. Stage performances are planned for the entertainment of teachers. From catwalks, musical parodies, to hilarious skits, the ideas are plenty. The idea is to organize the show with the help of fellow students, without involving any teacher. This way it sure is a surprise entertainer! A group Song performance. Make a medley of songs. Choose from the likes of ‘Raghupati Raghav Raja Ram’ from ‘SatyaGrah’ movie, ‘Bande me tha Dum’ from ‘Munna Bhai MBBS’ movie, old Bhajans, and more such inspiring songs. Organize a folk dance competition amongst the various houses in school. Or present the dance in a way that it starts with a group of the youngest students, replaced after a while by the middle grade students and finally the eldest batch. In the final stages, all involved students come on stage to take a bow! You may decide to announce and handover titles on-stage to all or senior-most teachers. For this, we’d recommend getting the titles pre-approved by the Principal. The titles may be written artistically on hand-made papers and presented in the form of a scroll tied with a beautiful ribbon or lace. Dress up as teachers for a fashion show on stage. It is a good idea to prepare a Teachers’ Day Invitation card (or e-Invitation) that can be distributed to all teachers 1 week before the event, detailing the days’ events, venues and timings. Pick out names of teachers to call on-stage one-at-a-time for an activity. Ask them to sing a song, recite a favorite poem, a dialogue, or imitate an actor. Use more such fun ideas. Make sports teachers do pushups on stage. The one who does maximum pushups wins a prize or a title. Ask female teachers to knot a tie in 30 seconds. The prettiest knot wins! Ask male teachers to fold a saree within 30 seconds. The best folded saree deserves a standing ovation! Organize a Sudoku championship for teachers, who volunteer for it. This event can be organized in staff room, on-stage (in the background parallely with some action in front) or near the stage in a designated area. Teacher(s) can be invited to a café/restaurant too for a treat. No matter whether you are going in a group or accompanying your teacher alone, be sure to reserve the tables, so that there are no hiccups on the special day. Planning a surprise picnic for your teachers at a nearby park is also a good idea to celebrate the Teachers’ Day. Be sure to take all the picnic essentials, including snacks baskets, tissues, beverages, umbrella, camera, etc. A small fete / fair can also be organized within the school premises on the occasion. The raised money can go in the Teachers’ fund. 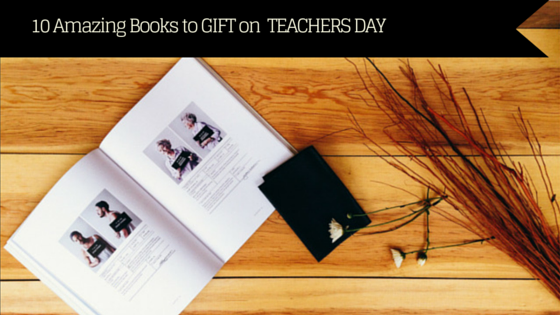 Start Planning events for Teachers’ Day. Decorate the staff rooms and the hallways of the school for Teachers’ Appreciation Day. Create your own ‘Walk of Fame’ for your teachers. Get a piece of red carpet or put red butcher paper down in the entry hall. Make gold stars with a teacher’s name on each, and have the school meet the teachers as they arrive in the morning. Make some students stand at the entry gate before the teachers’ arrival to shower the teachers with flowers when they enter the school. Hand them a beautiful flower with a “Happy Teachers’ Day” tag as they enter the school premises. Decorate the party hall, notice boards and class rooms with “Happy Teachers’ Day” banners, quotes on Teachers Day, ribbons and balloons. Previous How To Decide Upon a Venue for a Grand Wedding..? ?